He describes three factors as significantly correlated with group intelligence: average social perceptiveness of group members, evenness of conversational turn taking, and percentage of women. One of the projects we’ve done we call ‘mapping the genomes of collective intelligence.’ We’ve collected over 200 examples of interesting cases of collective intelligence … things like Google, Wikipedia, InnoCentive, the community that developed the Linux open source operating system, et cetera. Then we looked for the design patterns that come up over and over in those different examples. Using the biological analogy, we call these design patterns ‘genes,’ but if you don’t like the analogy or the metaphor, you can just use the word ‘design patterns.’ We’ve identified so far about 19 of these design patterns—or genes—that occur over and over in these different examples. 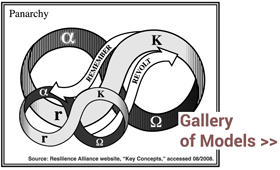 In 2011’s “Programming the Global Brain (pdf),” Abraham Bernstein, Mark Klein, and Thomas Malone write, “These design patterns, in turn, can be embodied in various programming metaphors.” They describe: an idea ecology, a web of dependencies, an intellectual supply chain, a collaborative deliberation, a radically fluid virtual organization, and a multi-user game. Others that write about patterns of collective intelligence include Tom Atlee, George Pór, and the P2P Foundation; The MIT Center also has a wiki handbook on the topic.